I don’t know about you, but aside from a few really bold shades in college, I’d never been one to play with too much color in my makeup, nevermind playing with unusual colors of blush (which, by the way, I never even wore before a couple years ago). But as I’ve gotten a bit more comfortable with makeup and I’ve learned a few different application techniques, I’ve become more comfortable having fun and trying new things and today I thought I’d experiment with color in the form of this lovely purple Jocelyn blush from Chinovi Cosmetics because, well, purple is my favorite color. The most important thing about this look was using a light hand with the blush. I am quite pale and purple can be a little less forgiving than other shades. My trick is that I touch the product with my brush, then tap the ferrule of the brush on the lid to release most of the excess (and prevent wasting my precious makeup), then I tap the brush on the edge of my sink one more time. I also like a smaller face brush for this type of application, not a huge fluffy blush brush. 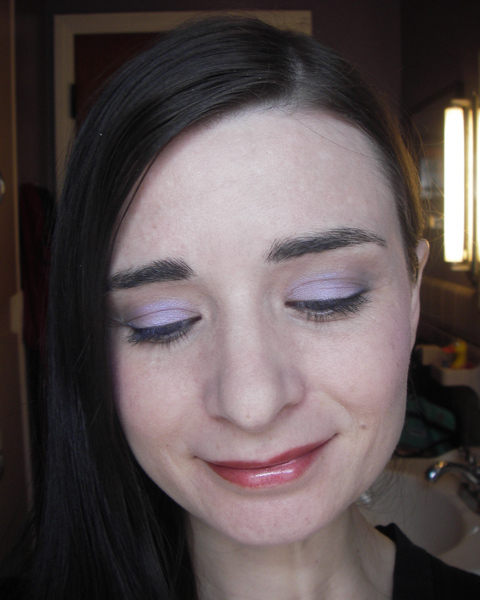 I used the Real Techniques Setting Brush, which is pretty small but you could also use a large fluffy eyeshadow brush. I dabbed lightly along my cheek bones, but stopped just past the outer corner of my eye. Since I was using just a bit of product at a time I was able to build it up just a bit, but it never got too heavy. 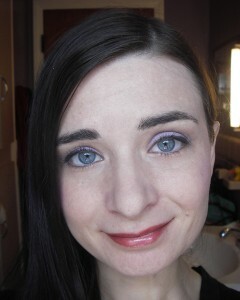 I blended it a bit more with my face powder brush, and voila! 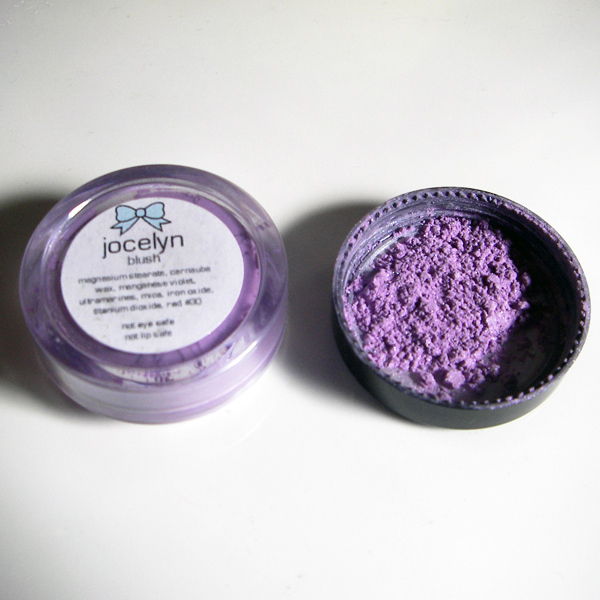 wearable purple blush! I finished the look with pink and very lightly applied brown eyeshadow, a bit of black eyeliner, and a neutral toned lip gloss. I’ve also worn this blush with a purple lip color and more dramatic but neutral eyes and also no shadow with liner and fuller lashes. And just look at how pretty this blush is even in the packaging! Did I mention I really love purple? How about you? 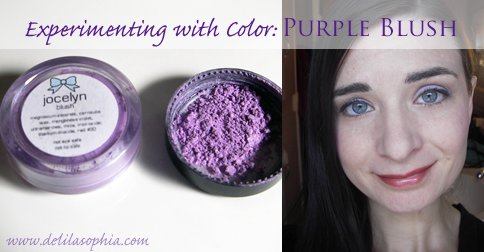 Have you ever worn purple blush? Do you think you might try it now?